Private Events available for Lunch and Sundays by-Reservation Only. Holiday Hours listed on Event Page. Your server will be glad to describe our daily selections. served in a martini glass rimmed with sugar. the rocks in a sugar rimmed martini glass with lime garnish. Cool & refreshing! Bacardi Limon, Lemonade, pineapple simple syrup, cherry, lime & pineapple juice. Served on the rocks in a tall glass with pineapple and lime garnish. Caravelle Limoncello, Peach Schnapps, blend of Red & White Wine, lime juice and splash of club soda! Served on the rocks in a wine glass with seasonal fruit garnish. Getting stung never felt so good! Tequila, lime juice, honey simple syrup & sweet vermouth. Served in a rocks glass with lime garnish. A frozen delight featuring Watermelon Schnapps, Smirnoff Raspberry Vodka, fresh lime juice & OJ. Served in a hurricane glass with lime and cherry garnish. WEDNESDAY: Wing Nite! $9 doz. THURSDAY: Mussels New Zealand Green Lip! $12 doz. Bully's has been locally recognized as one of the top beer restaurants in the Susquehanna Valley. We not only carry some of the best premier beers that you may have come to know, but we also carry many of the finest beers from around the world, as well as many Micro & Craft breweries in the United States. We are always on the search for unique and Interesting beers. We also offer fine Wines & Spirits. 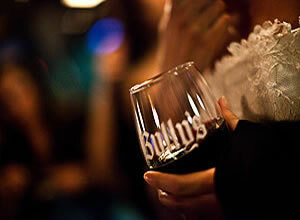 Bully's has one of the best Back bars around, including an excellent selection of Single Malt Scotch, Bourbon, Whiskey, Rum, Premium Tequila, World Class Vodka, and Fine Cognac, Brandy, Ports, & Sherry.